Has anyone been inside the hospital that is off Bilsland Drive. I have driven past the front gate a number of times and wondered about it. It seems to be huge!! I used to be able to see the big tower from my bedroom window. Used to be the hospital for infectous diseases......."follow the yellow line"
"follow the yellow line"...there were painted lines at the entrance to the hospital for infected souls to follow...(to keep them away from uninfected people) ...so they had to follow color coded lines to get to their ward/treatment room and avoid bodily contact with anyone for as much of the way in as possible! My ex got really nasty food poisoning in indonesia and was put in there upon her return to Glasgow. This must have been 1995 or 6. Most of it was already shut then, but a couple of wards remined open. Administrative History: Opened in 1900 as a Glasgow Corporation infectious diseases hospital, Ruchill initially had 440 beds. By 1915 272 beds had been added for tuberculosis patients. 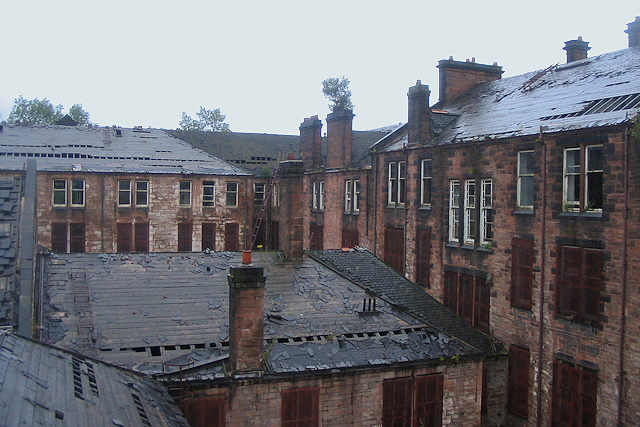 It had 1,000 beds when it was absorbed into the National Health Service in 1948, under the Glasgow Northern Hospitals Board of Management. Ruchill was placed in the Northern District of the Greater Glasgow Health Board in 1974. The number of in-patients was 586 in 1975, 445 in 1980 and 280 in 1990. 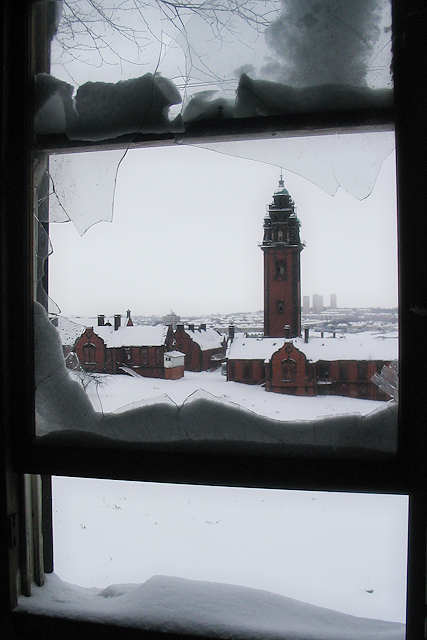 The hospital's scope changed after 1960 as young chronic sick, geriatric and psychiatric patients were catered for whilst tuberculosis and other infectious disease patients became few in number. 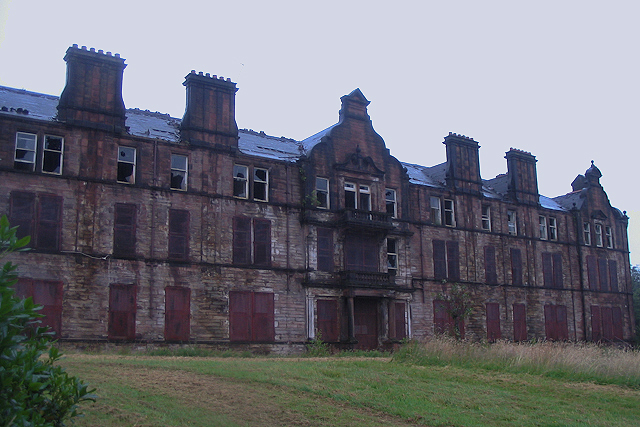 Ruchill Hospital was closed in 1998. No wonder the buildings have such a nasty atmosphere... 100 years of misery , death, loneliness and isolation. This link tells the story of some files being moved to Ruchill Hospital at some point. But the most interesting part is that it mentions the filming of the BBC tv program "Cardiac Arrest" on location at Ruchill. Bad memories of trudging up Maryhill Road and Bilsland Drive in winter to Ruchill Hospital to visit my father who eventually died there. god, i spent 4 days in there when i was younger with meningitus(sp?) wasnt a fun affair i'll tell you! has anyone been in recently? hows the access? plus does anyone have any up to date pics to tempt me to go myself? I really wouldn't recommend trying to gain access. 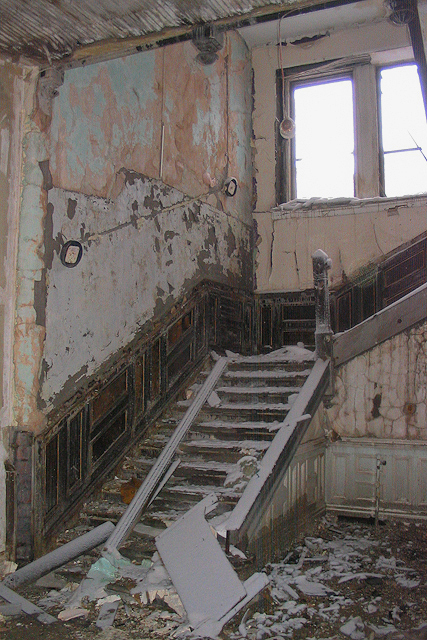 The place is a serious death-trap and an accident waiting to happen. You have been warned! Take a bow, dazza, that last pic is one of the best compositions I've seen on these boards. Told me they used to hose down the frozen chickens with hot water to defrost them.....and this was a hospital! "Look, we can't fall into old patterns. We have to think of a plan!"